One of the biggest additions of the offseason for the New York Giants is undoubtedly Kevin Zeitler, who they acquired from the Clevaland Browns in the trade which sent pass rusher Olivier Vernon there. 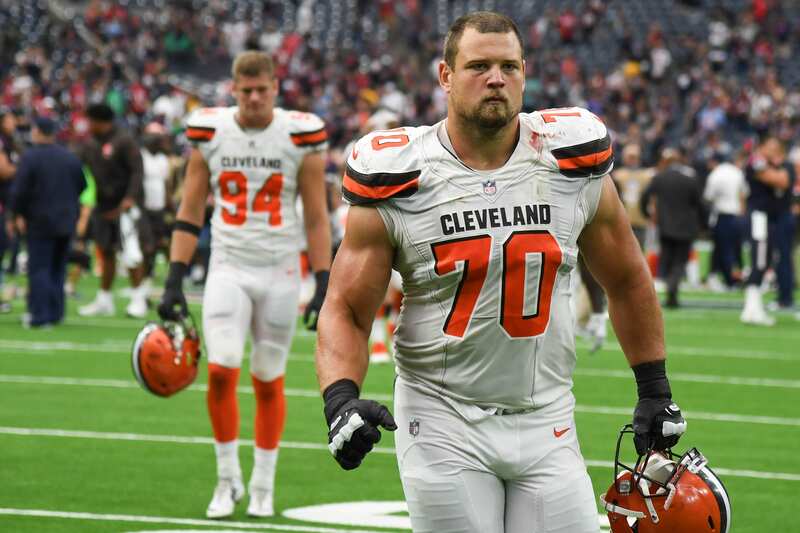 Zeitler is one of the better names at his position, and having a player of that caliber around at guard will be a big change from how the Giants roster has looked during recent years. However, we haven’t heard a lot from the new guard since the deal was made. That’s now changed, with Zeitler speaking on Friday to Sirius XM Radio. Zeitler went into how he found out about the trade, and surprisingly, it wasn’t via phone call. “I guess in the NFL, you never know what’s going to happen. But I was in the middle of a lift and for some reason I decided to check my phone and I saw on Instagram about a million people say, ‘Good luck in New York.’ So I ran out of the building, and we started calling people and it’s quite a shock for me and the family,” Zeitler said. But it wasn’t long, Zeitler claimed, before teammates such as Eli Manning and Nate Solder reached out and made contact. And of course, Saquon Barkley is the star of the Giants offense now that Odell Beckham Jr. has been moved to Cleveland. As a guard, Barkley is the main player that Zeitler will block for other than Eli Manning, and that fact was quickly acknowledged. Recently, the Giants have been no stranger to big name offensive line additions not panning out, such as the Patrick Omameh signing last year or the multi-year Ereck Flowers experiment that ended with Flowers making the move to Jacksonville. Could Zeitler be the free agent addition that actually sticks around and makes a positive impact for the team? It’s early, but it’s still looking that way. And if that’s the case, the Giants can say they definitely won the Vernon trade, decisively.